Kleine Fotoarbeit für die UNHCR über junge Flüchtlinge, die in Berlin einen Sprachkurs besuchen. 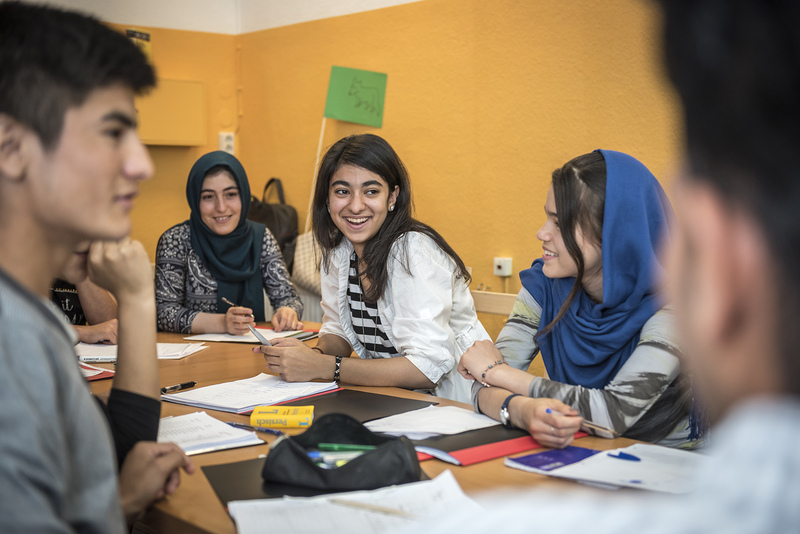 Participants at the refugee summer school at „lehrreich“ in Berlin-Wilmersdorf. 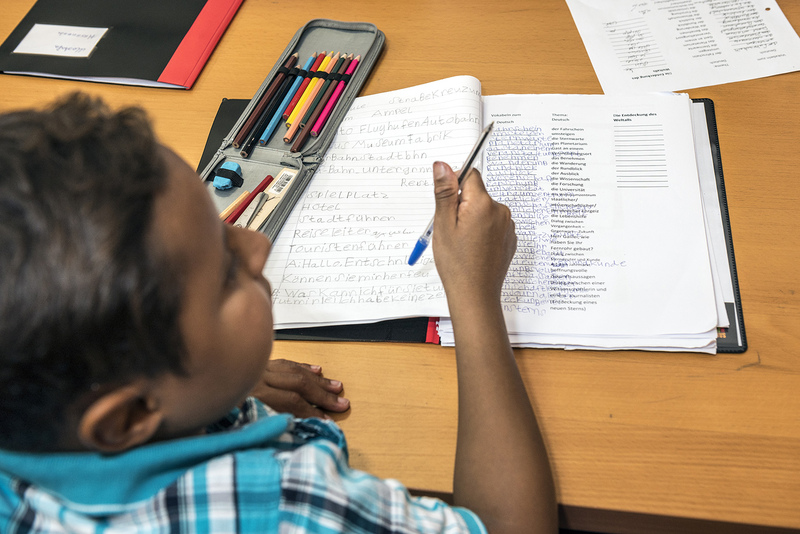 Learning the local language is a vital step to continuing a disrupted education. 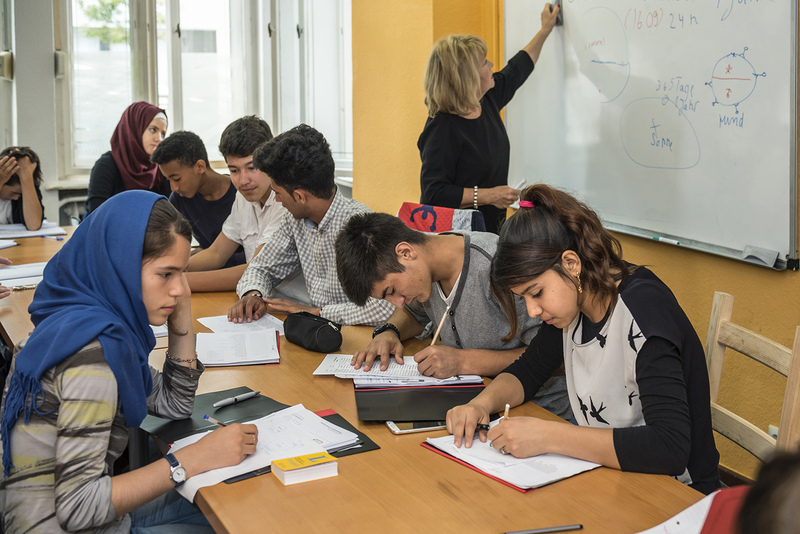 Summer schools help keep young refugees on track to join regular school classes. 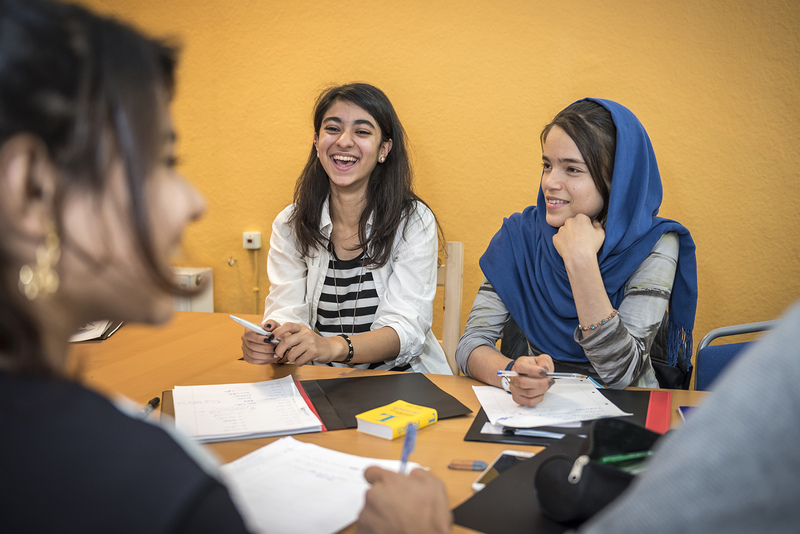 Sanas Solimani (middle), age 15, from Afganistan, participant at the refugee summer school at „lehrreich“ in Berlin-Wilmersdorf, together with other asylum-seekers. Sanas dreams of being a pharmacist when she grows up. That’s why she’s spent her summer holiday studying German. 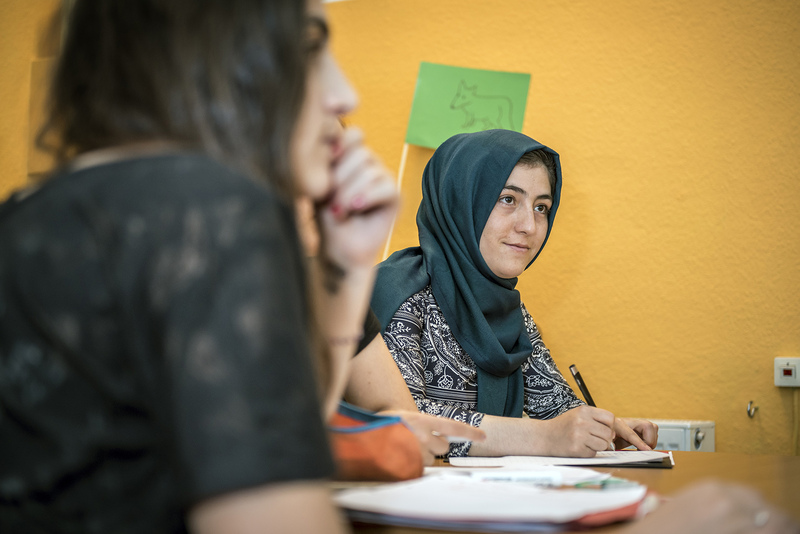 Mahmoud Jad, age 13, from Syria, participant at the refugee summer school at „lehrreich“ in Berlin-Wilmersdorf. Mahmoud loves reading and writing. The new alphabet is difficult, he says, but playing games makes learning more fun. 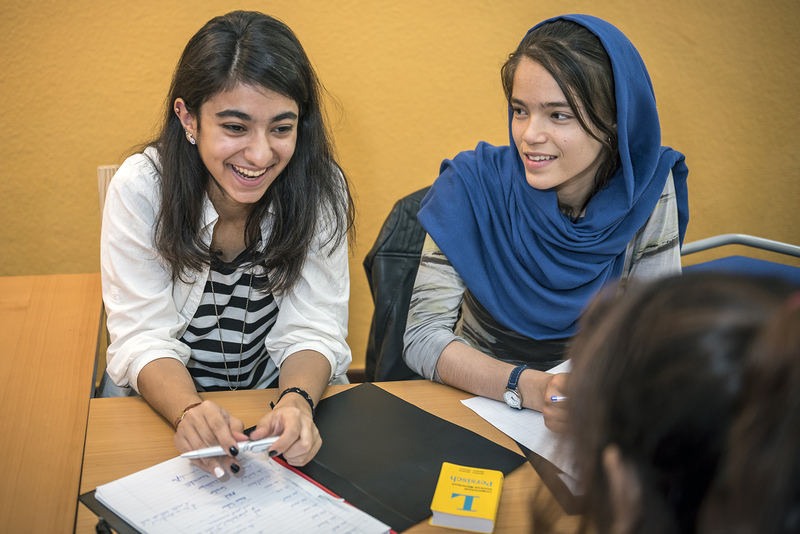 Samira Marwi, age 15, from Afganistan, participant at the refugee summer school at „lehrreich“ in Berlin-Wilmersdorf. Samira lost both her parents at a young age. One day she wants to study medicine, but first she’ll have to tackle the finer points of German grammar.